Preschool registration is now open for the fall! 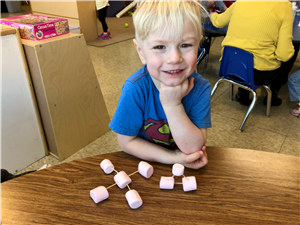 The Maple River Early Learning Center provides preschool for students 3 years old to Kindergarten entry along with wrap-around child care before/after school and on non-preschool days...did we mention summer too? Questions? Email Laura at: lwalser@isd2135.org or call us at (507) 524-3918. Thank you for saving Dietz Receipts for us! The program has ended for this school year. You can start saving receipts in the fall from September 1st, 2019 through March 2nd, 2020. Many thanks for supporting this great program and our local grocery store.